There are sadly too many seemingly who yet do not understand that frequently quoted statement during Independence Days celebrations throughout the country. Fireworks displays prominently aired in communities of all sizes during the expanded Fourth of July weekend, but few in their hearts actually realized the significance that those explosions blasting in air were reflections of terrible war occurrences which brought our often so unappreciated and generally not really remembered blessings of freedom. One cowboy certainly knows better than most how important our country’s many privileges are, and the very heavy cost of them. Sergeant Thomas Weed has served four missions in Iraq, doing more than a small part to help guarantee freedoms others often so readily take for granted. “I’m proud of my country, have served in the Army for 11 years, and I have no plans to stop as long as my body holds up. It’s my duty. I’ve felt it all of my life,” Sgt. Weed said last Friday (July 4) morning from his hometown of Waupaca, Wisconsin. Sgt. Thomas Weed, serving in the U.S. Army and stationed at Fort Riley, lives off-base at Herington. He competes in rodeos throughout the Midwest, and is entered in the bull riding Thursday night, July 10, during the Tri County Fair at Herington. “I’m celebrating my freedom today in the best way I can,” said Sgt. Weed, who lives at Herington, Kansas, while he’s stationed at Fort Riley. “I’m competing in bull riding at my first Professional Rodeo Cowboys Association sanctioned rodeo in front of all of my family, friends, and acquaintances who I grew up around. It’s been a life long dream to show my hometown that I made somthing of myself. “They are really excited about me riding tonight, and I’m proud to be here, because I’m a hometown cowboy and a member of the United States Army doing my part for their freedom. “How much more significant can that be than during an Independence Day Rodeo?” evaluated Sgt. Weed, who drove from Herington to his hometown during the first week of July for what could be called a double celebration: the Fourth of July and mounting one’s first professional rodeo bucking bull in front of the hometown crowd. His “hometown-Kansas crowd” will get to see Sgt. Weed in action, too, this week and a number of times in the next couple of months, fully intending to match the score sheet with the bull pen. 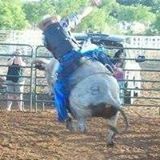 “I’m excited to be entered in the bull riding at the rodeo during the Tri County Fair in Herington Thursday evening, July 10. Williams & Long Rodeo Company from Cambridge has a PRCA livestock string, and I think the draw will be as tough as anywhere in the country. I’m anticipating getting on an outstanding bull and making a qualifying, winning ride at Herington, my home now,” Sgt. Weed commented. A full calendar of upcoming rodeos and bull riding jackpot competitions were rattled off by Sgt. Weed for future weeks when on leave and weekends from proudly serving his and our country. “There’s Junction City, right next to the base, Clay Center, Hillsboro, Abilene,, Emporia, Holton, Strong City Longford and a number of others. I plan to be entered in all of them,” he verified. However, riding rank bucking bulls is nothing new to the United States Army soldier. “I was a farm boy, loved the country lifestyle, but was so involved in wrestling and football that I really didn’t start in rodeo until I entered the military,” Sgt. Weed said. Serving first in the National Guard, Sgt. Weed joined regular Army following his first deployment to Iraq. 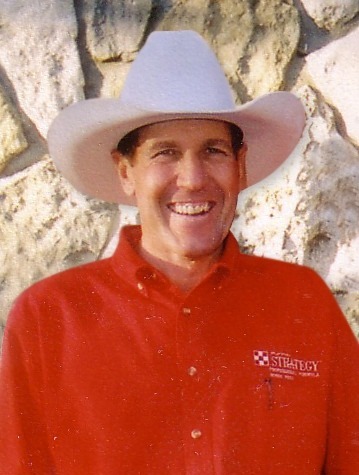 “While I was stationed in Texas is when I really became involved in rodeo and started riding bulls. I was fortunate that there were some very top cowboys to learn from, and I got on every head of practice stock I could find,” he contended. Although it was a practice session, Sgt. Weed’s most satisfying ride to date was on a bucking bull called Dakota. “He’d never been ridden until I made the whistle on him,” Sgt. Weed reflected. Riding rank rodeo bucking bulls is a treacherous sideline hobby for anybody, but for Sgt. Wood, it’s completely incomparable to dangers in the warzone. “We are always at risk. Even though it’s what I do as a profession, for my freedom and that of everyone else in my country, I’ve had some extremely frightening experiences in my convoy missions,” he admitted. Interested in anything to do with rodeo and the cowboy way of life, Sgt. Weed’s earlier athletic skills are put to use as he coaches junior wrestling at Herington. He’s furthering his personal education while enrolled in Barton Community College’s off-campus curriculum classes at the Army base.